People often mistakenly believe that dollhouses are just for girls. However, boys will get just the same developmental and educational benefits from playing with a dollhouse that girls do and will also have just as much fun. 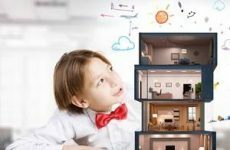 If you are the parent of your boy and you are concerned that dollhouses are targeted towards girls, in both their design and their marketing, it may surprise you to learn that there are plenty of fantastic gender-neutral dollhouses available. Similarly, there are many great ones that are specifically designed with boys in mind. The design of this dollhouse is based on a neighboring fire station and police station boasting 12 rooms over three floors. 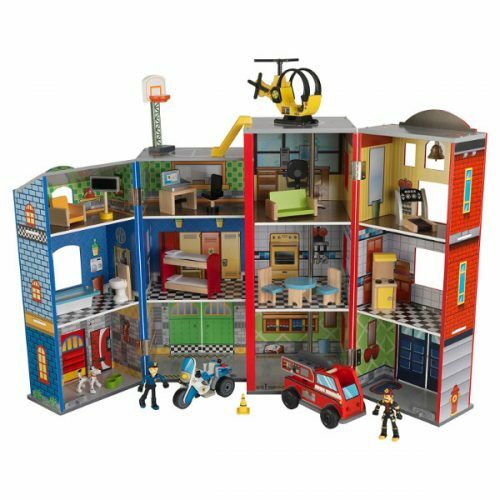 This dollhouse is a great way for boys to role-play scenarios involving the police and firefighters. It comes with a good range of dolls, vehicles furniture and accessories. The dimensions are 38.2 x 14.9 x 25.8 inches and it weighs approximately 26 pounds. One of the best things about this dollhouse is the great range of accessories that are included as this gives children, both boys and girls, multiple ways they can play with the toys. Just some of the things included are a policeman, a firefighter, a fire truck, a helicopter, a police motorcycle, two dogs, chairs, a couch, a sink, a stove, a laptop, a treadmill, a bunk bed and a basketball hoop. The biggest complaint about this dollhouse is that some of the accessories break easily. The other complaints relate to the size and assembly of it. However, it is comparable with other large dollhouses in this respect as these are typical complaints of the larger houses. The dimensions are clearly stated, so check you have room before you buy. Recommended for children between the ages of 3 and 8, this wooden dollhouse has six rooms over three floors. The open front, back, and sides mean that children can really get involved with the scenes they are creating from different angles. This gender-neutral dollhouse is ideal for both boys and girls. The dimensions are 23.6 x 11.8 x 28.9 inches and it weighs 14.1 pounds. The main criticism of this dollhouse is that the lightweight wood is not particularly sturdy and may crack during rough play. However, customers say that the furniture provided is of excellent quality. There is the option to purchase this house unfurnished if you wish and then buy the room sets you want from Hape. It is worth noting that although there are six rooms in this dollhouse, there are only four room sets provided. This means you have to either share the furniture between the rooms or buy another two sets, such as the dining room or nursery sets, separately to complete the house. The KidKraft Deluxe Garage Set is a great alternative to a dollhouse for boys as it provides the same type of ‘let’s pretend’ type play. The garage is split over three levels, plus it boasts a helipad. 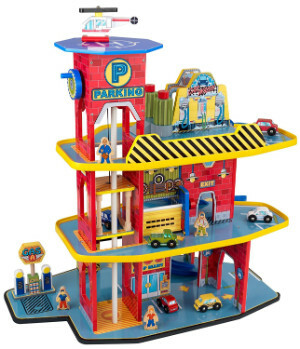 The fun and colorful set comes complete with four people, a helicopter and six cars and trucks. The dimensions of the garage set are 27.2 x 15.8 x 24.8 inches and it weighs 17.6 pounds. This is the ideal toy for children who like role pay type games and also have a passion for cars. The main concern about this toy is that the ramps are more for effect than as an actual working part of the toy. Customers report that cars fall off them more often than they reach the bottom of the ramp. However, despite this issue, the majority of customers are extremely happy with this toy and say their children spend hours playing and having fun with the garage set. Split over three levels, this wooden dollhouse has six rooms, an elevator, and a garage. It has a gender-neutral color scheme, so it is good for both boys and girls. As it opens to the front and sides, children can get really involved in the play experience and interact with the furniture and dolls from any angle. The hi-rise dollhouse measures 7.2 x 23.2 x 27.8 inches and it weighs 20 pounds. Although the design is rather basic, there are some appealing features to this dollhouse. The garage has a lift up door and there is a working elevator, giving the dollhouse a modern touch. Also, it will match the décor in any room as it has a clean and timeless appearance. As it is made from wood, the solid construction means it will stand the test of time. The major drawback of this dollhouse appears to be the difficult and lengthy assembly. However, if you are prepared for this and set aside enough time, it is worth the effort. This truly is a boy’s dollhouse as instead of the traditional style, it is a two-story castle that includes six wooden play figures, including knights. This sturdy wooden castle has a drawbridge and is designed in intricate detail. The castle measures 10.5 x 13.5 x 7.125 and weighs approximately 4.5 pounds. This castle has everything a child needs to recreate real scenes from a castle. It comes ready assembled and fully equipped with a king and queen, two knights, a treasure chest, two thrones, a royal bed and a drawbridge. It even boasts its own dungeon. The great thing about this doll house is that it is compact and your child can take it anywhere with them. If you are looking for a dollhouse for toddlers, then this is an excellent choice. It provides a unique, interactive and educational play experience for toddlers that you are unlikely to find elsewhere. 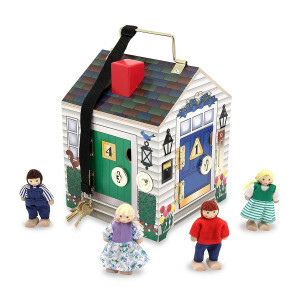 This simple, one-room dollhouse has four play people, four doors, four lock and key pairs and four doorbells. The doorbell house measures 7.2 x 7.5 x 7.2 inches and weighs just 2.2 pounds. This is one of the most unique dollhouses you could choose for your child. It is great for either boys and girls and is also one of the cheapest options available. The manufacturer recommends this product for children between 36 months and 5 years and, realistically, children will probably grow out of this toy beyond that age. It will help younger children to develop a variety of skills during their interactive play, so there are benefits to choosing this toy beyond providing fun for your child. Although there are some negative reviews about the poor quality of this dollhouse, the majority of these have been resolved by the manufacturer following complaints. These negative reviews are in the minority. 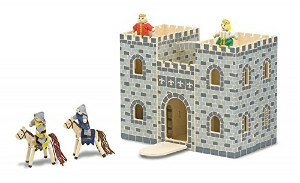 For anyone with children who love castles, this is a great dollhouse for boys. This sturdy, hinged, wooden castle opens out for extended play and then closes for compact storage. It features a working drawbridge, a trapdoor, and a removable turret. There are three levels to this castle providing children with plenty of play options. The dimensions of this castle house for boys are 20.2 x 18.6 x 15.3 inches and it weighs 12.8 pounds. The main concern expressed by consumers about this item is that it is manufactured using a cheap wood substance, such as balsa, so there were concerns that it may not withstand rough play. Despite this issue, the majority of the reviews for this castle are excellent and children love the various features. These include walkways, balconies, turrets, a dungeon a trapdoor and a drawbridge. If you decide to buy this castle, it is worth noting that there are no figures or furniture included. You must buy these separately at an additional cost. This colorful two-story fire station boasts an opening and closing garage door and a helipad on its roof. The set comes complete with the fire station, two bendable figures, a dog, a helicopter and a fire truck. Furthermore, there are ten pieces of furniture included so children can enjoy fitting out the fire station just like a regular dollhouse. The dimensions of this set are 16 x 16 x 17.8 inches and it weighs 15 pounds. 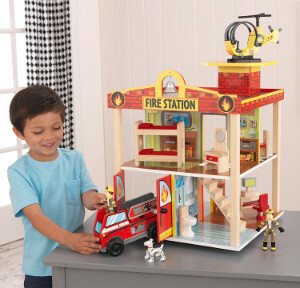 The KidKraft Fire Station Set is a great alternative to a dollhouse for boys as they can act out some imaginative scenarios involving rescues and scenes that happen within the fire station. The main problem that customers have with the fire station set is that it is not very sturdy. However, parents say their children have lots of fun with this set and that it is something they play with regularly. As far as gender-neutral dollhouses go, this is one of the best. 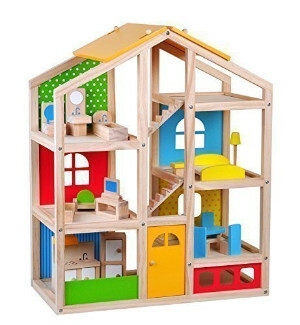 The sturdy, wooden dollhouse has six rooms that are split over two floors and is decorated in bold fun colors that are suitable for both genders. The house is open-sided to allow several children to play from different angles. The dimensions of the Skylar Dollhouse are 23.8 x 10.2 x 19.3 inches and it weighs 19 pounds. Due to some of the smaller pieces of furniture, this dollhouse is recommended for children from 3 years onwards. However, this is a timeless dollhouse that will last for many years. As there is plenty of furniture and the dolls are poseable, this one has almost limitless play options. Overall, this dollhouse has excellent reviews with only a few minor complaints. One customer said that her child was upset because the children didn’t have their own beds and another said that the dollhouse was larger than expected. In relation to the former, it is possible to buy additional furniture to fit inside. With regards to the latter complaint, the dimensions are clearly stated, so you just need to make sure you have enough room for this product before purchase. Although it is targeted at toddlers and younger children, this plastic dollhouse is also aimed at children who enjoy technology and interactivity. Boys and girls will adore the wide variety of play options they can enjoy with this dollhouse that is split over three levels. The dimensions are 11.8 x 19.3 x 16.9 inches and it weighs 16 pounds. There are two main benefits to choosing this dollhouse for your toddlers. The first is the level of interactivity. Not only will this provide your child with lots of entertainment, but it is also educational. Just some of the interactive features include positioning the characters on MagicPoint locations to make moving or audio features of this little house work. MagicChat in the playroom allows characters to chat and sing together and press the button on Miss Nora to hear a variety of phrases and songs. 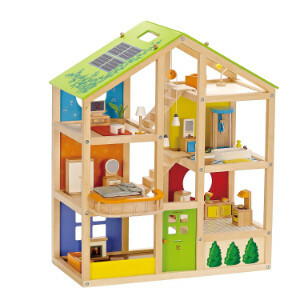 The second benefit for opting for this dollhouse is that you can connect it to several other VTech toys. This gives children the chance to create a kind of ‘mini village’ that give different play experiences. These are just some of the examples of dollhouses for boys. There are many options available that are suitable for boys or are gender neutral. Sometimes, it helps to see which dollhouses are best for your son based on their age. Each of these has something different to offer your child and there are dollhouses or play-sets available to suit all preferences and budgets. If you are just looking for a basic dollhouse, then the best options are the Melissa & Doug Wooden Doorbell House and the Melissa & Doug Children’s Fold & Go Castle. These are also the perfect choice for younger children, people who have a limited budget and those who do not have a lot of room in their home for a large dollhouse. When buying one of these products, it is important to remember that play options are rather more limited than with some of the larger and more expensive dollhouses and playsets. Parents who want to buy a more traditional-style one should certainly consider the Hape- All Seasons Wooden Doll House, the Melissa & Doug Hi-Rise Dollhouse and Furniture Set or the Skylar Dollhouse. Each of these is a timeless dollhouse that allows children to re-enact scenes from their own experiences or that reflect their future aspirations. 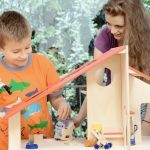 Playsets are a great alternative to traditional dollhouses s they provide children with the opportunity for the same type of play just with a different setting. There are some excellent choices that are suitable for boys depending on their personal interests. 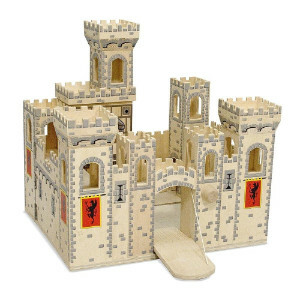 Some of the best available include the KidKraft Fire Station, the KidKraft Everyday Heroes Play Set, the KidKraft Deluxe Garage Set or the Melissa & Doug Deluxe Folding Medieval Wooden Castle. The dollhouse with the most interactive features is, without doubt, the VTech Go! Go! Smart Friends Busy Sounds Discovery Home. This is also one of the best dollhouses for the toddler years. However, it is worth remembering that it only comes with one character and you really need several to make the most of all the features. 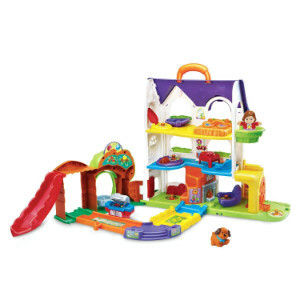 This dollhouse is also best when combined with several other VTech toys from the Go! Go! Smart Friends range, so purchasing this dollhouse could become costly in the future. Overall, the dollhouses reviewed are all great options if you are looking for a dollhouse for boys or if you have both boys and girls and want one that is gender-neutral. Which you choose will depend on your budget, the age of your child and the type of play experiences your child enjoys. It is often assumed that some toys are for boys and others are for girls. In fact, parents, the media toy manufacturers, and society as whole encourage these gender stereotypes. For example, a dollhouse is often designed in colors that are more commonly associated with girls, such as pinks and purples, and the product is then marketed by the media using images of little girls playing with the dollhouse. However, there is no reason why boys cannot play with dollhouses. In fact, they will gain the same benefits from playing with these toys as girls. There are some great boys/gender neutral dollhouses available today.